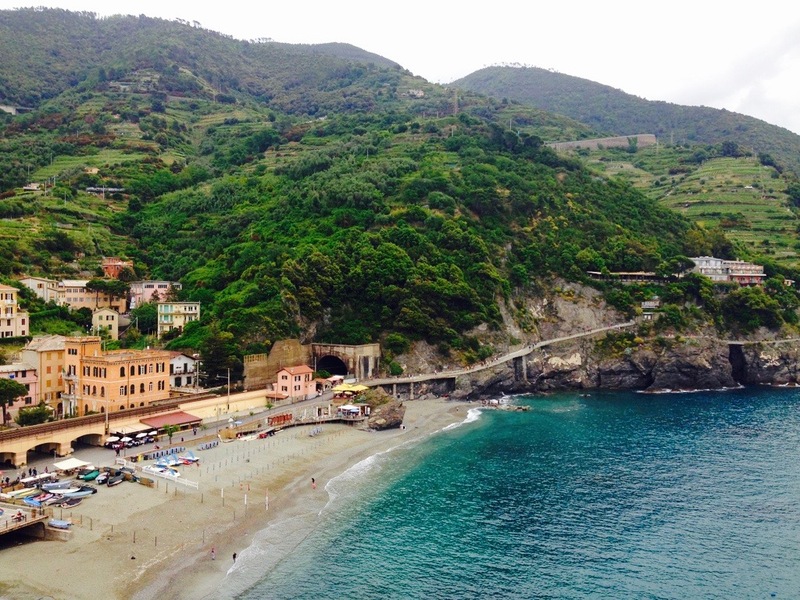 After a tiring 4-hour train ride from France, we settled into Albergo al Carugio for a 3-night stay in the village of Monterosso, the northernmost of the 5 villages. 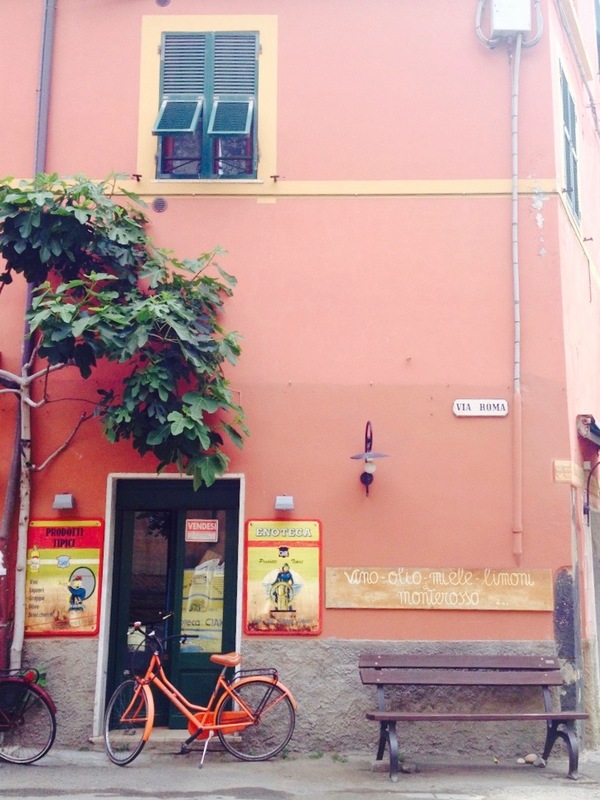 This quaint, affordable house-turned-hotel quickly felt like home. It was a 15-ish minute walk from the train station and boardwalk with plenty of shops and restaurants along the way. Our private room was clean and bright, and our host, Andrea, was incredibly pleasant and full of advice. 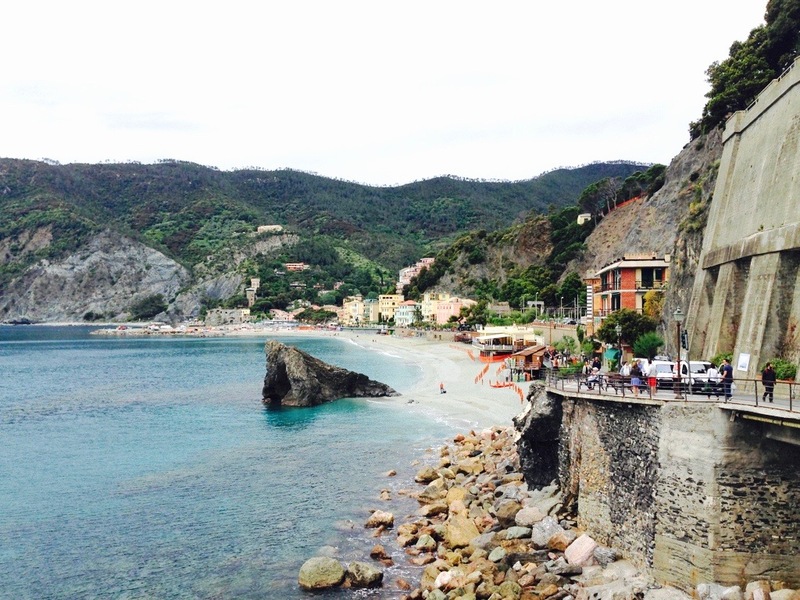 We decided to stay in Monterosso based on reviews that it was the liveliest of the villages and we were not disappointed. 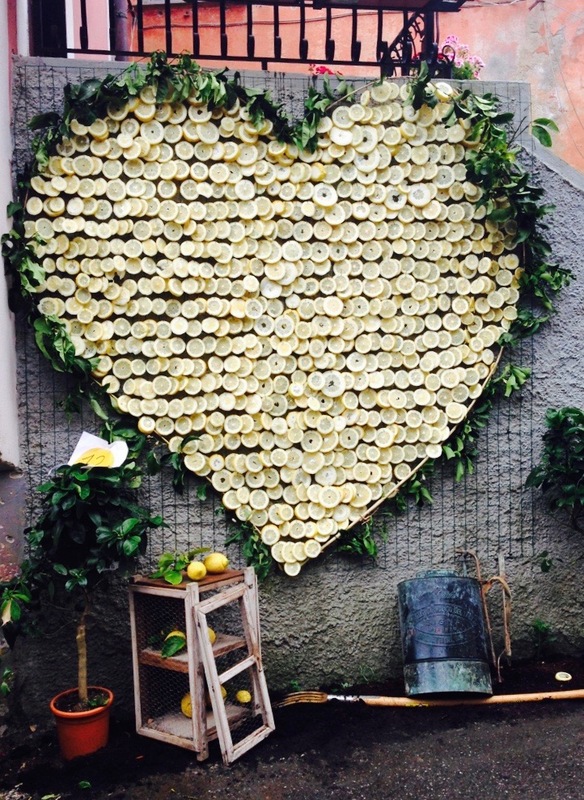 By pure coincidence, we happened to be in town for their annual lemon festival. That’s right, lemon! 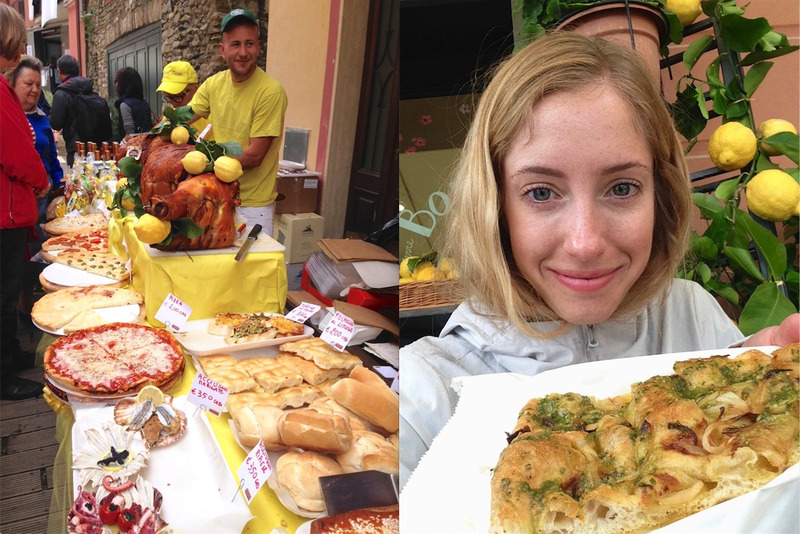 On the 3rd Sunday of May, store owners compete for the best lemon-inspired storefront decoration and hit the streets to sell their authentic limoncello liquor and lemony baked goods. 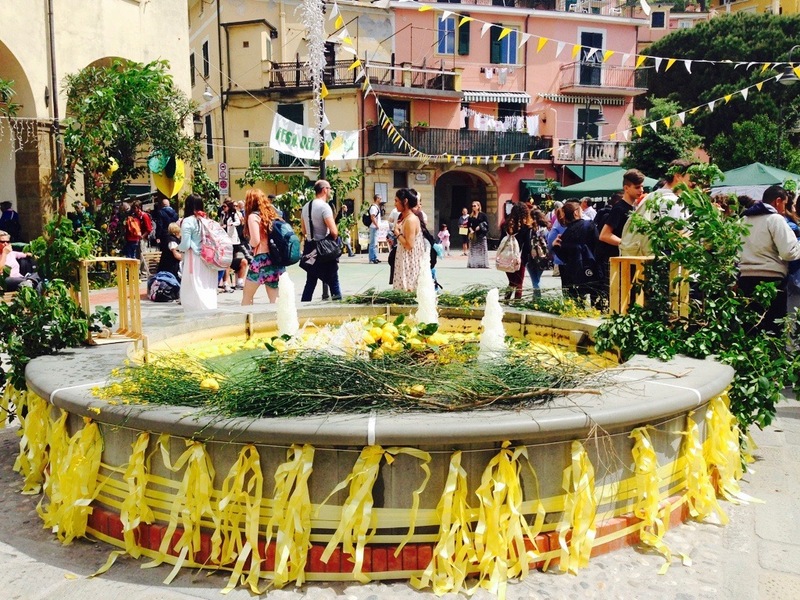 If that wasn’t exciting enough, the town also contributed by decorating the main square, competing for the largest grown lemon, and hosting a pretty intense street party complete with DJ and fog machine – even a bride and groom showed up for the party! This type of cultural experience was undoubtedly a highlight of the trip. 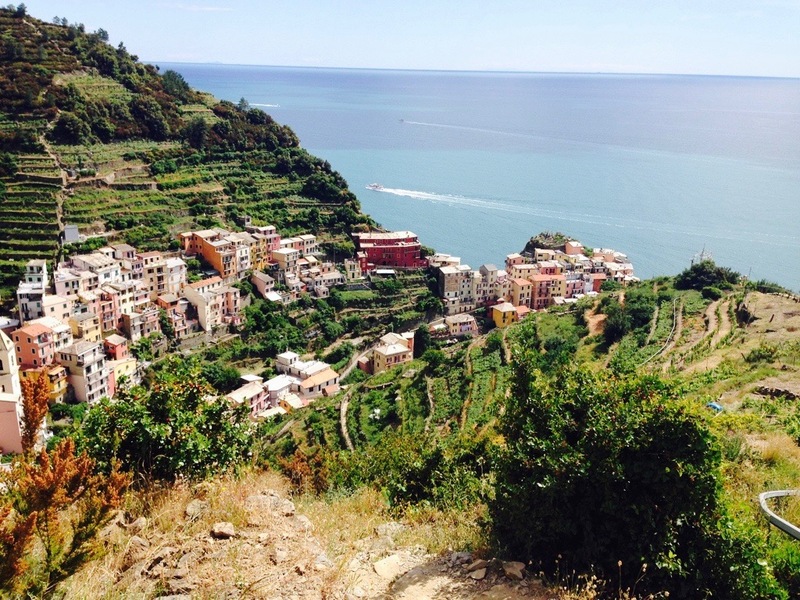 Travellers from around the world flock to Cinque Terre to hike between the five villages nestled into the rugged coast. Easily accessible train and boat services between the villages makes for flexible hike itineraries and it is popular for people to do one or two segments at a time. 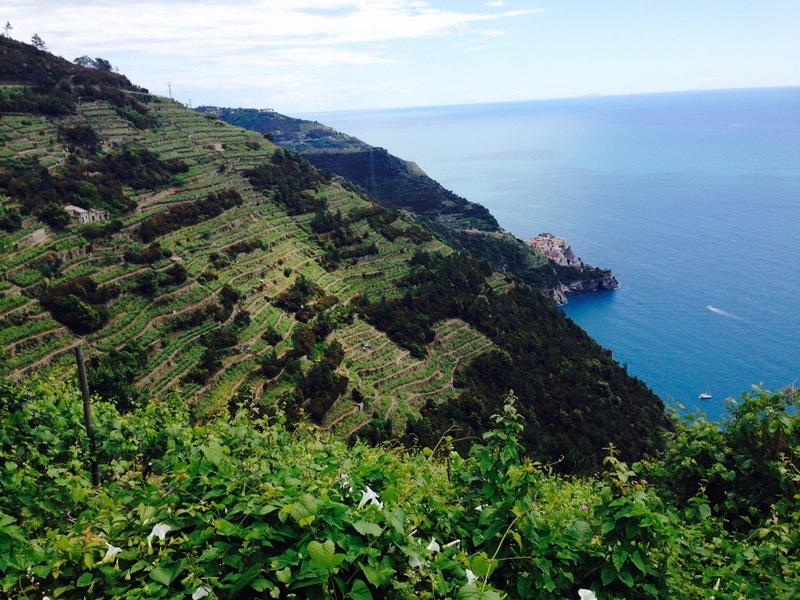 Clinging to our youth, Tara and I were determined to hike through all 5 villages in one day and planned to take the boat back to our starting point in Monterosso. Since segments of the lower, more tourist-friendly “blue” trail were closed due to recent landslides, we decided to continue on a more challenging trail that headed farther up the mountain… Let’s just say I have never been so grateful for the snack-packing gene inherited from my mom. The slices of salami and box of crackers we picked up at the grocery store were the perfect fuel to keep us going on what had become a serious all-day hike. 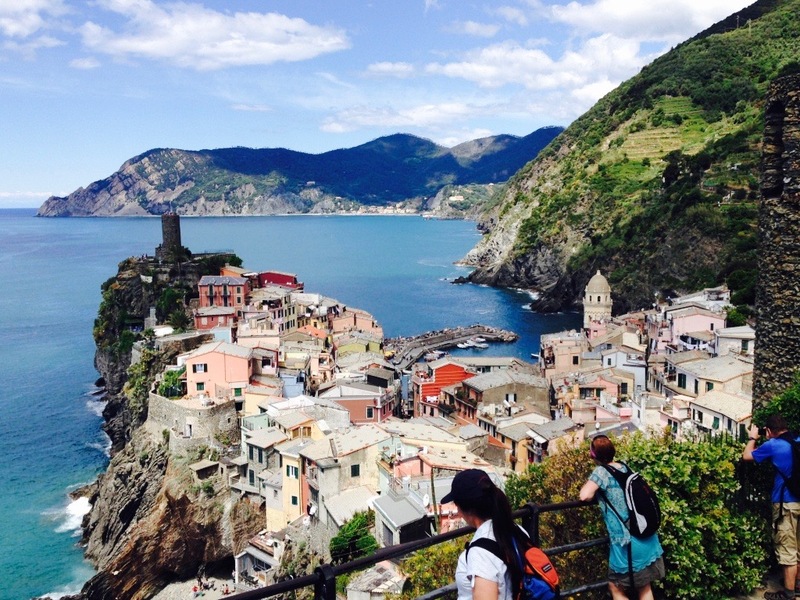 Although trail closures prevented us from reaching the fifth town, Riomaggiore, we were happy to have survived an 8 hour hike and were truly blown away by the natural beauty surrounding us along the way. 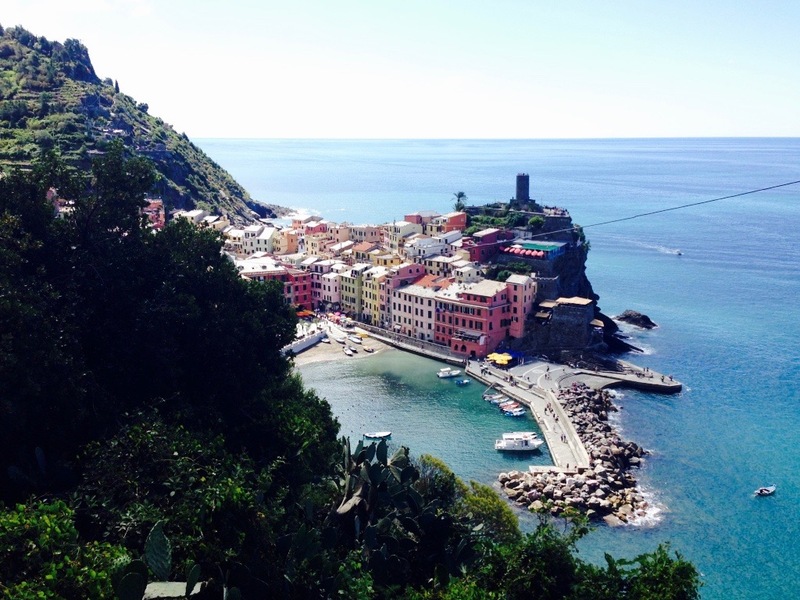 Even if outdoorsy activities aren’t your cup of tea, the variety of local restaurants and shops are another brag-worthy feature of Monterosso. 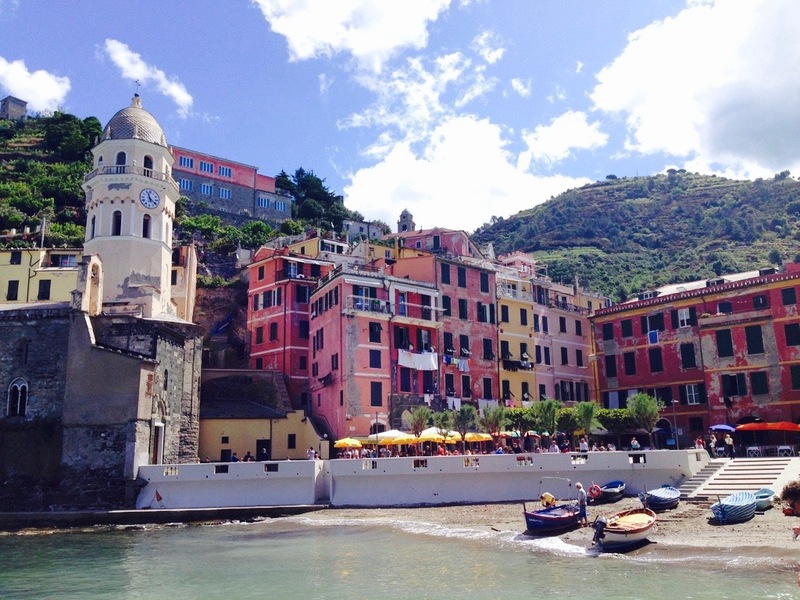 First off, this is the place to be if you enjoy seafood – there is everything from anchovies to squid ink pasta to a lobster soup cooked in a clay pot. 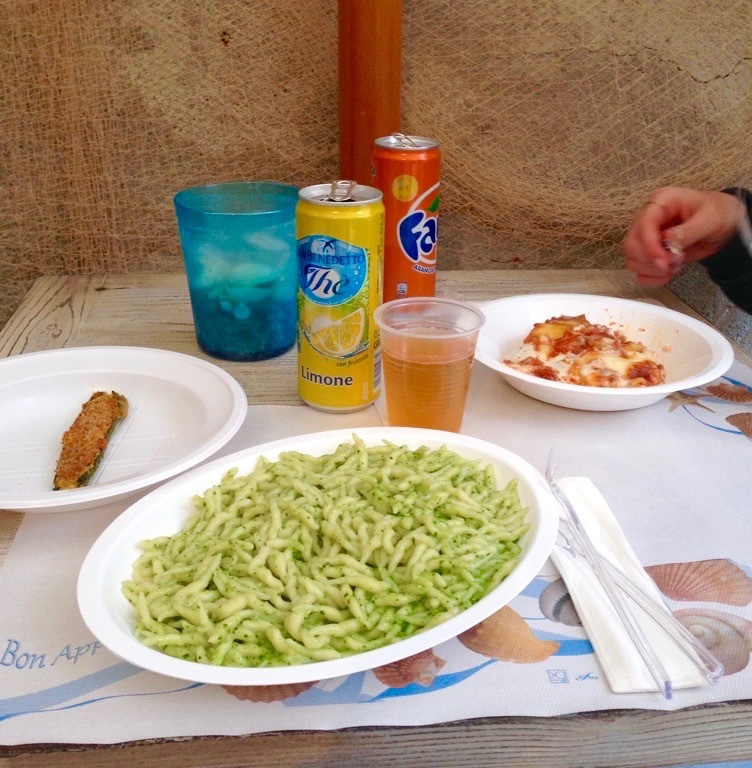 The region is also known for its wine and pesto sauce which we enjoyed in several forms during our visit – the best part, a half litre of wine for only € 5 ! We also found trendy Italian-made leather sandals at Lanapo and intricate wool scarves at a textile shop that I wish I could remember the name of (it was near Pasticceria Laura – which makes the most delicious buttery “Monterossina” cake with layers of chocolate and cream). 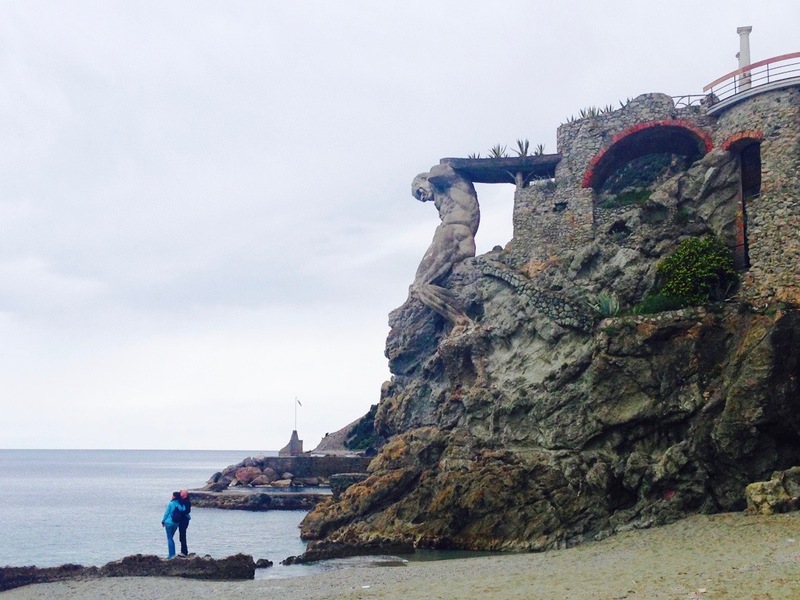 Another main attraction in Monterosso is the shrine of St. Francis of Assisi and the Capuchin Friars, which was a short hike up from the main town and offered a stunning panoramic view. 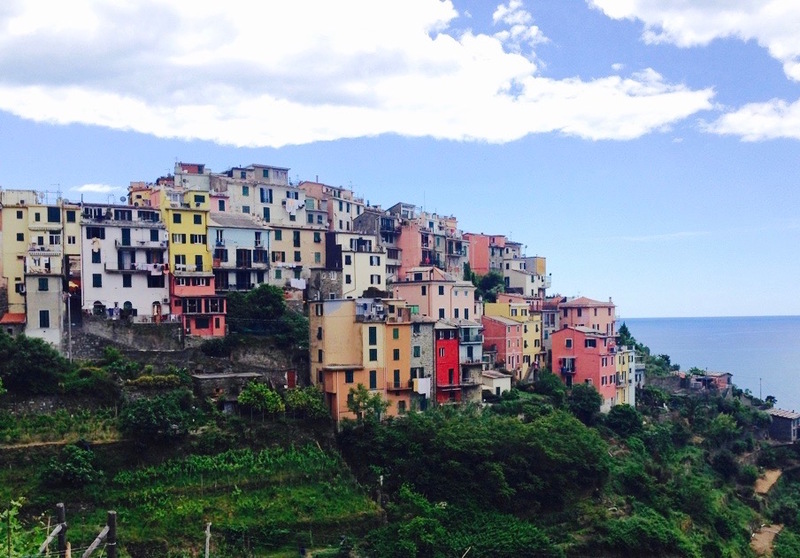 It was so refreshing to spend a few days outside of a bustling city and take in the incredible sights and culture of the Cinque Terre region. This is a destination that I can’t wait to revisit.